Gurgaon has enough potential and is loaded with several other features to attract the luxury home buyers. The major corporate hub in India is currently the home to nearly 500 MNCs and these numbers will likely to cross the 4 digits mark around 2021. Can you imagine the picture of development in this region at that time? Well, one thing is for sure that the dream of making it a dream city will surely come true then. Gurgaon offers a best in class lifestyle, better connectivity, quality education, best healthcare facilities to the residents. The presence of high-end malls and multi-cuisine restaurants are capable to meet the modern shopping and food demands of the people living here. The rapid metro system, its close proximity to the airport and the rapidly growing infrastructure are some other major factors for which people are eager to be the residents of this region. The apartments available in the prestigious residential developments in Gurgaon are superbly designed and have sophisticated interiors. You can find as much space as per your requirements in these premium apartments. Moreover, the kind of extravagances offered by these reputed townships are truly amazing and with them, life becomes comfortable and convenient. The giants in real-estate have tied-up with the globally reputed architectural and design firms to provide the A class aesthetics in their dream projects. And so, this is another positive reason to go for these homes in Gurgaon. Another important aspect is that by 2020 when the city will welcome several new multinationals, the demand for these homes will be on the peak and the prices on the current properties will sky-mounted and so you can earn multiple returns on your investments. 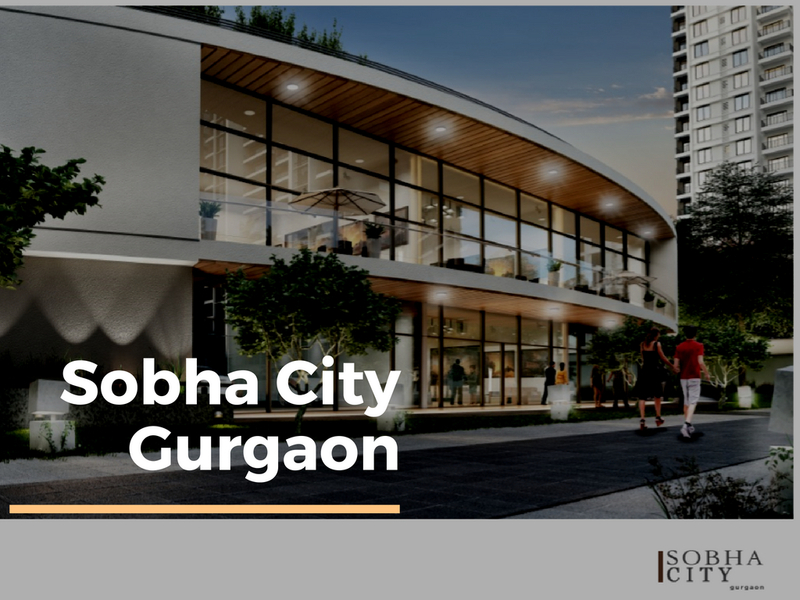 With thoughtful floor planning, transparency and customer satisfaction, the unique housing from the house of Sobha, Sobha City Gurgaon is an incredible masterpiece in Gurgaon’s luxury class. The residential development spans over 38 acres of the whopping land area which has mostly the green landscapes and a variety of pleasing water bodies. The peaceful environment in this property allows the residents to live a life which is free from noise, pollution and hustle-bustle. 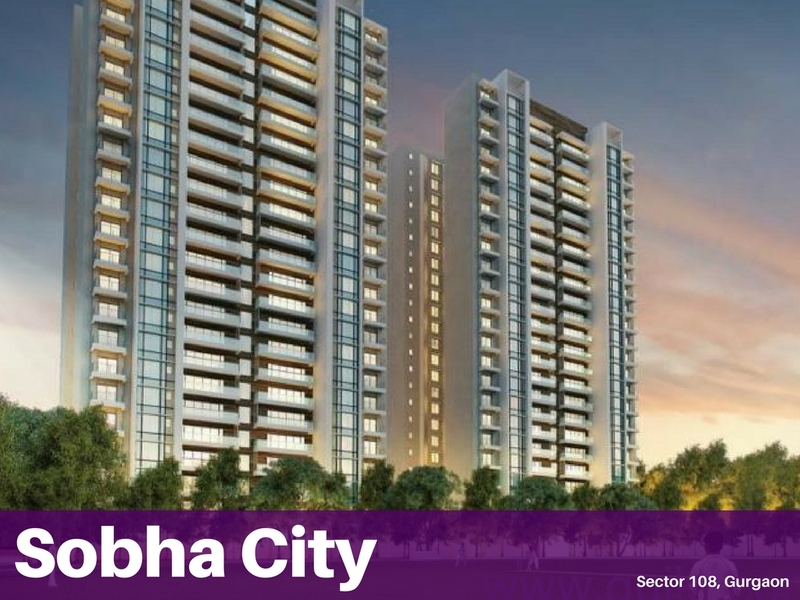 Located close to Dwarka Expressway, Sobha City Sector 108 is situated from where one can reach to any part of Delhi-NCR region within quick time. 2 clubhouses over 40,000 sq. ft.
16 sports including badminton, tennis, basketball, volleyball etc. Apart from these, the other usual amenities like swimming pool, gymnasium, meditation centre, multipurpose hall etc. 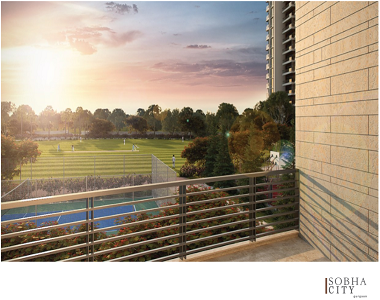 are available in Sobha City Dwarka Expressway.